I promised some of you gentle readers that I would not even attempt to describe our Podunk to West Coast road trip without setting the musical stage. Our family members have what could generously be described as a broad range of eclectic tastes in music, none of which are completely compatible. Some of which are offensive. Road trips — especially 13 hour road trips — beat you down. And this is the only explanation I offer for promoting Iron Chef’s playlist first. But I have to say, his decision to put a playlist together that was the musical equivalent of peeing on all 4 tires, had a certain appeal to me. 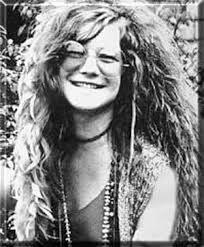 I’ll spare you the reaction to each and every song, but if you travel around with kids and get a chance to spin Janis Joplin’s Mercedes Benz, do it. It’s fun.